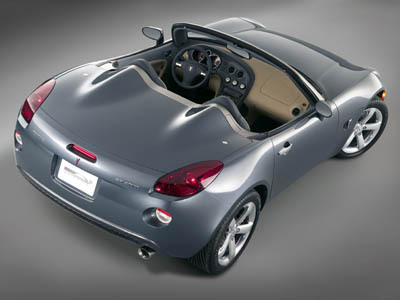 The gorgeous roadster Pontiac calls the Solstice was first shown at the 2002 Detroit Auto Show. The wide acclaim it received worldwide was enough to convince GM to make the car a reality, in America anyway. Power for the Solstice is provided by a 2.4 litre 4 cylinder producing 170 horsepower, at the start of production the Solstice will be equipped with a close ratio 5 speed manual transmission. 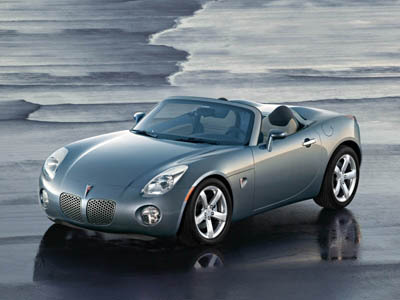 Fortunately the production Pontiac Solstice has remained faithful to the concepts classic lines, which look more suited to smaller European roads than wide American highways. The interior of the Solstice has been designed for the driver with simple intuitive controls ergonomically placed.